When it comes to climbing towers the hardware you choose is extremely important. When your life's on the line you want to know that the carabiners & hardware you are using is top quality. Our Gear Experts® have spent years sourcing the best hardware. From carabiners and connector packages to spreader bars, snap hooks, and rebar hooks our selection of carabiners and hardware have you covered no matter what job you’ve got coming. Our tower climbing hardware selection includes separator bars, snap hooks, and rebar hooks. Let’s start by looking at certifications. Like carabiners, snaphooks, rebar hooks, and separator bars must meet the ANSI Z359.12-2009 standard. This standard requires that the major access point must have a strength of 5,000 pounds. The gate face, sideload, and minor access strength must be at least 3,600 pounds. Separator bars are great for positioning and providing relief on the hips and waist during a long day of climbing. Snaphooks and rebar hooks server similar purposes to carabiners and come in a range of different sizes. Which of these devices is right for you? That depends on the job at hand. Need help finding the perfect carabiner, hardware, or have questions? 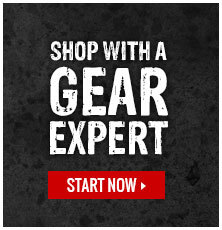 Click here to chat with one of our Gear Experts®.